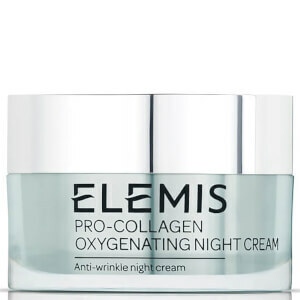 Dissolve make up, dirt and oil from your skin with Elemis Pro-Collagen Cleansing Balm. Enriched with a nourishing blend of precious starflower, elderberry and optimega oils, along with rose and mimosa waxes and anti-ageing padina pavonica which work together to deeply cleanse, smooth and hydrate your skin, leaving you with a glowing complexion. Wonderfully luxurious, the 100% active base of natural oils are grown within the UK, so you can be sure of only the highest quality ingredients. Suitable for all skin types, your skin will be left soft, supple and delicately fragranced with a soothing aroma of lavender and chamomile. Padina Pavonica: A powerful anti-ageing active. Elderberry Oil: Firms and plumps your skin. Starflower Oil: Maintains the skin's moisture levels. 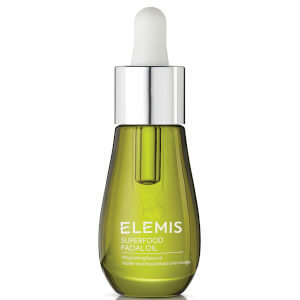 Optimega Oil: Improves skin hydration. Mimosa and Rose Flower Waxes: Softens and comforts your skin. Smooth over the face and neck and gently massage into the skin. Moisten fingertips and continue to massage. Remove with a warm cleansing cloth. The balm can also be used as an intensive and relaxing mask. Padina Pavonica promotes skin elasticity and cell vitality. Mimosa Flower Wax hydrates and retains moisture in the skin. Starflower Oil maintains moisture levels. Almond, Coconut, & Shea Oils nourish and condition. Elderberry Seed Oil firms and plumps. Wheatgerm contains vitamins E and F, enriches and nourishes the skin. Vitamin E is a potent antioxidant that protects against free radical damage. I've used so many cleansing balm. this product is my favourite. This cleansing balm has to be one of the most luxurious cleansers I have ever used. It easily removes a full face of make up (including liquid eyeliner and mascara) with no difficulty. It has a lovely smell (reminds me of going to a spa) and leaves my skin feeling thoroughly cleansed and soft. A little goes a long way. This is one of my must have products. It's worth every penny and your face feels so clean but not dry after using it. I always use a hot damp facecloth and it takes everything off. Couldn't recommend this enough. The price is often hard to justify considering it's a cleanser but the benefits far out way the cost. I love it. Bought 3 pans for the price of two. And I use it now more than 6 months. I makes my skin glowing and i smeels very good. This cleansing balm is perfect. 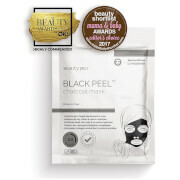 It smells wonderful, works well and can even be used as a face mask. 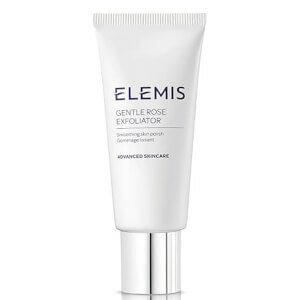 It leaves the skin beautifully soft and moisturised. It costs more than High Street ranges but is worth the extra and a little goes a long way. It’s great that Lookfantastic has special offers that make it affordable. It's really nice cleansing balm for sure, work perfectly to clean the face with even heavy makeup on, but the smell on the other hand is too strong for me. Not a fan of the combination of those oils/ingredients, it's quite okay in the jar, but when I put on my face the smell is just not something for me. But if you don't mind the strong smell, go for it. Melts the make up away and leaves the skin so clean and smooth. Can be also used as a mask. I use wet cloth to wash it off. It smells amazing too. Love it, love it, love it! I just love this cleanser. Smells divine and makes me feel special.